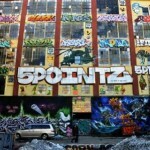 Forum | 5 Pointz (Hip Hop Forum) | Has it leaked? This forum contains 3 topics and 2 replies, and was last updated by Greg Nunes 4 years, 5 months ago. What Upcoming Albums Are You Hyped About?